2018 started on an optimistic note with broad-based growth across the region. Sentiment turned cautious towards the second half of the year as financial markets were hit by geopolitical concerns, rising trade tensions and heightening credit risks in China. 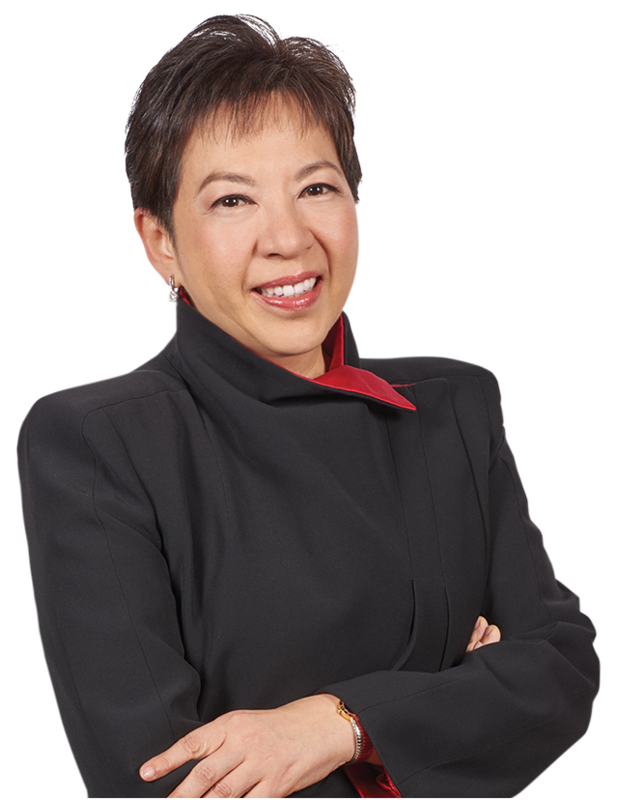 Despite the second-half headwinds, IBG’s income rose 9% to a high of SGD 5.76 billion, while net profit before tax was SGD 3.37 billion. We did well with net interest income which grew 14%, and this was supported by broad-based asset and deposit growth. With market volatility dampening sentiment, our capital and treasury markets businesses suffered in the second half. However, given our continued push to extend our digital capabilities to support our clients, cash management income and other fee income businesses helped us to differentiate our IBG franchise. As our clients’ industries are getting disrupted by technology, we leveraged our digital experiences in banking to work with them to create ecosystems and to re-engineer their payment and trade journeys, enabling them to become more efficient and competitive. An example is how we worked with our client Agrocorp International, a leading agri-commodity trading company headquartered in Singapore. We were the first bank to enable an end-to-end cross-border blockchain platform for a commodity supply chain network, comprising farmers, exporters, traders and end-customers. This solution leveraged DBS’ combined leadership in both the digital and trade space. Through DBS’ application programming interface (API) framework, many supply chain participants are now able to access real-time updates on commodity prices and receive trade financing approvals for orders coming in from any part of the world. Other clients that have worked with us on similar solutions include Halcyon Agri, the world’s leading integrated rubber player and China Capital Logistic, one of China’s largest automotive logistics companies. With our API capabilities and consultative solutioning approach, IBG conducted more than 30 digital workshops to help our clients keep pace with the technological shifts. Our digital strategy has successfully repositioned us as a transaction bank that stands out from the rest. As testament to our success, we closed a record number of mandates with both multinationals (MNCs) and small and medium enterprises (SMEs) as companies cultivated a growing appreciation for our digital capabilities and the quality of solutions that we provide. This led our transaction banking business to record broad-based income growth of 32% year-on-year across all key markets. Besides earnings achievement, another highlight was being ranked first in client satisfaction globally in Euromoney’s annual Cash Management survey, an annual poll conducted with 25,000 companies worldwide. DBS swept the board across the global services categories, from business functions to tech provision, attesting to our unparalleled service standards. This earned us the recognition of being “Asia’s best bank for transaction services” from Euromoney. Among other accolades, Greenwich Associates ranked our cash management business first in Asia for ease of product implementation. DBS continues to offer innovative equity and debt solutions to support our customers’ growth ambitions throughout the region. As the top equity house in Singapore, we participated in 80% of equity funds raised, including 69% of IPOs. As the leading REIT house in Asia, we played a pivotal role in milestone transactions such as the successful SGD 396 million IPO of Asia’s first outlet mall REIT with assets from China — Sasseur REIT. In addition, we helped SME clients in their listings and equity fund-raising transactions, including the IPOs of Koufu Group and Hyphens Pharma International. We continue to grow this franchise and maintain DBS’ pole position, with DBS being named “Best Asian Investment Bank” by FinanceAsia and “Best Equity House” in Southeast Asia by Alpha Southeast Asia. Playing to our strength in bringing inaugural issuers to the international bond market, we have been encouraging traditionally bank-dependent borrowers to diversify their sources of debt funding through bonds. This has the added benefit of developing the debt financing infrastructure in China. Our commitment and expertise in raising funds in Asia has helped DBS break into the “Top Ten” of the Asia ex-Japan USD Bloomberg league table. Other accolades we have won in this space include “Best Investment Bank (Singapore)” in Euromoney’s Awards for Excellence 2018, and “Best Debt House (Asia)” by Global Finance. Observing Asia’s growing energy needs, we facilitated infrastructure-related project financing in 2018 — especially in renewables. We were involved in several marquee transactions in the region, including the TWD 18.7 billion Formosa 1 offshore wind farm in Taiwan. We were also a joint bookrunner for a landmark green bond for Star Energy’s geothermal project in Indonesia, demonstrating our ability to go beyond traditional loans. For these pioneering efforts, our project finance team was named “Best Project Finance House” in Asia by FinanceAsia for going off the beaten track to structure local currency loans for innovative projects. With SMEs as the backbone of the global and regional economy, we continued to invest in this segment by reimagining how SMEs could be better served in the markets in which we operate. To harness the power of digital transformation, DBS is developing a B2B platform allowing SMEs access to an e-marketplace to sell their goods and services to large corporates and MNCs. This will be the first portal of its kind in Singapore that grants SMEs access to supply chain connections, financing and payment solutions that are usually only open to large corporates. This was announced through Singapore’s nationwide 99% SME campaign where partners such as Singtel and Mastercard help SMEs in Singapore digitalise their businesses to keep pace with technological shifts. Recognising that the world is increasingly borderless, the bank has been proactive in trying to help our SME client base grow their business. One of the ways we do this is through our DBS BusinessClass social platform, an online community for SMEs to network across the region and be kept updated on the latest trends in financing and digital tools that can enhance their businesses. Revenue from our SME banking business continued to grow not just in mature markets like Singapore and Hong Kong, but also in our priority markets. 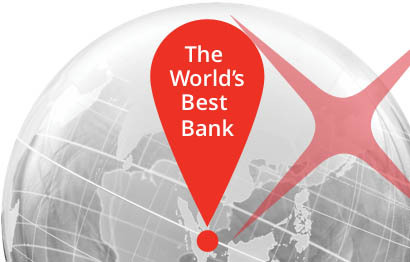 Customer engagement was highest among our industry peers, leading to Euromoney naming DBS the “World’s Best Bank for SMEs”. International Finance Corporation, part of the World Bank Group, also named DBS “Bank of the Year (Global)” and “Bank of the Year (Asia)” in its inaugural Global SME Finance Awards. Asia remained a top destination for businesses globally as MNCs looked to the region for strategic growth. Our extensive network in key markets in Asia, as well as our presence in Japan, Korea, United Arab Emirates, United Kingdom and the United States also enabled us to grow our Institutional Investor and Western MNC businesses globally. Apart from expanding our US and European MNC client base, income from this segment also registered more than 20% CAGR growth over four years with contributions from transaction banking growing the fastest. With growing awareness of the importance of sustainability, we continued to integrate responsible financing principles into our credit assessment processes and lending activities. During the year, we established the IBG Sustainable Finance Forum. This enabled us to stay on top of emerging issues for better capital allocation decisions in a more sustainable world. For the year ahead, we are confident that the IBG business will continue to build on its digital leadership to further differentiate itself and to drive our growth strategy. The last 10 years have been deeply satisfying as the IBG business has been transformed from primarily lending to include transaction banking and capital market activities. Increasing client revenues are a testimony to our success and our revenues and profits over the years have increased manifold. I’m heartened by the success we have achieved together with our clients and I thank you. 2018 also marks my last year with DBS. I would like to take this opportunity to thank our clients and the DBS team for their support as I hand over the baton to Tan Su Shan. Our relentless focus on digitalisation is driven by the desire to make banking invisible so that our customers can enjoy a lot more of their lives, with a lot less hassle.